Green is a Builtgreen Gold™ development, one of Lower Mainland’s most sustainable living communities, emphasizing energy efficiency and sustainable practices. These condominiums utilize solar roof panels, motion sensored lighting and a 10 vehicle Co-op Sharing program to name only a few of the environmental attributes that Green offers. Built by 5 time Award Winning Adera Group, the architectural details of this mid-rise development, exude west coast design and is nestled amongst vast parkland, intertwining trails and has an active spawning ground for salmon nearby. Harmoniously designed where pedestrian walkways and gathering areas dominate and vehicles are hidden underground. 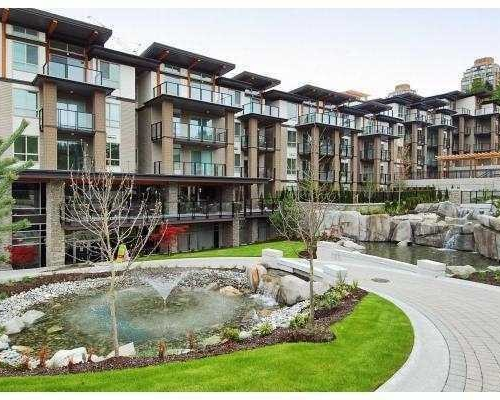 Walk to Edmonds SkyTrain Station, drive 3 minutes to Riverway Golf Course or shopping at Marine Way Plaza. 2-5-10 Warranty by Lombard General Insurance.